The Gutjahr modular system of balcony profiles is a unique system of flexible, combinable drain profiles and fascias. Not only does it give you a combined drain and uncoupling profile when used in conjunction with the AquaDrain® drainage system, different heights can be realised with the easy slip-on ProFin® BL appatures, for height build-up from 21mm to 79mm. Available in 11mm, 21mm and 30mm profiles, 90 ° corner units and affiliated connectors, ProFin® DP end profiles have unpunched legs for safe simple waterproof attachment of seals with DiProtec® AB-KV sealing tape technology. Height can be extended with the addition of ProFin® BL push-on facing plates. While the system includes support for ProRin® balcony gutters. Use with AquaDrain® EK and T+ matting systems, BAL adhesives and grouts for full external tiling solutions. Available in 11mm, 21mm and 30mm profiles, 90° corner units and affiliated connectors, ProFin® DP end profiles have unpunched legs for safe simple waterproof attachment of seals with DiProtec® AB-KV sealing tape technology. 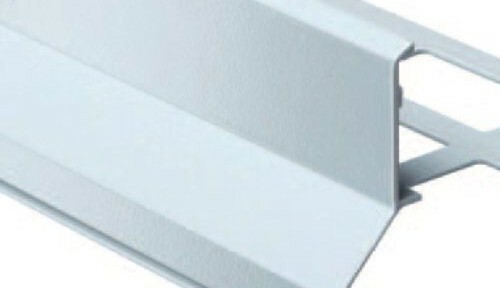 Height can be extended with the addition of ProFin® BL push-on facing plates. While the system includes support for ProRin® balcony gutters. Use with AquaDrain® EK and T+ matting systems, BAL adhesives and grouts for full external tiling solutions. The ProFin® V drain end profile is available in 22mm and 55mm in height. For use as part of the AquaDrain® surface drainage systems, each edge profile provides a clean finish and façade. The protuding profiles allows easy drainage of surface water, keeping the drainage channels free and protecting the natural stone coverings from water and frost damage. Easy to install gutter system for ProFin® DP edge profiles. Simply fit into the profile support – no soldering, no gluing, no welding thanks to intelligent connection technology. A compact system for narrow railing it can be combined with all Gutjahr profiles. 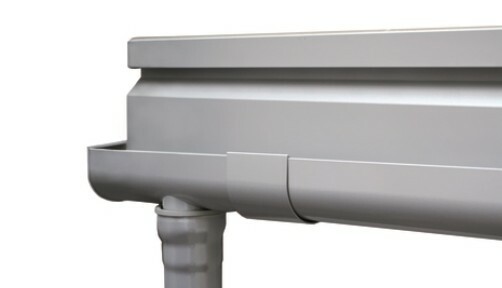 The system is durable and damage-free, as the gutter connections serve as expansion joint zones.